Joshua Hempstead (1678-1758) – I was blind but now I see. New London Historical Society (CT) is doing a terrific job serializing Joshua Hempstead’s diary on their site. Styled the Joshua Hempstead Blog – each entry of his diary captures the details of life in Colonial Connecticut. 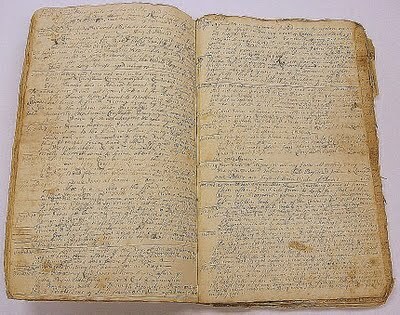 Hempstead’s diary entries are dated from September 8, 1711 through November 3, 1758. He died 22 December 1758. 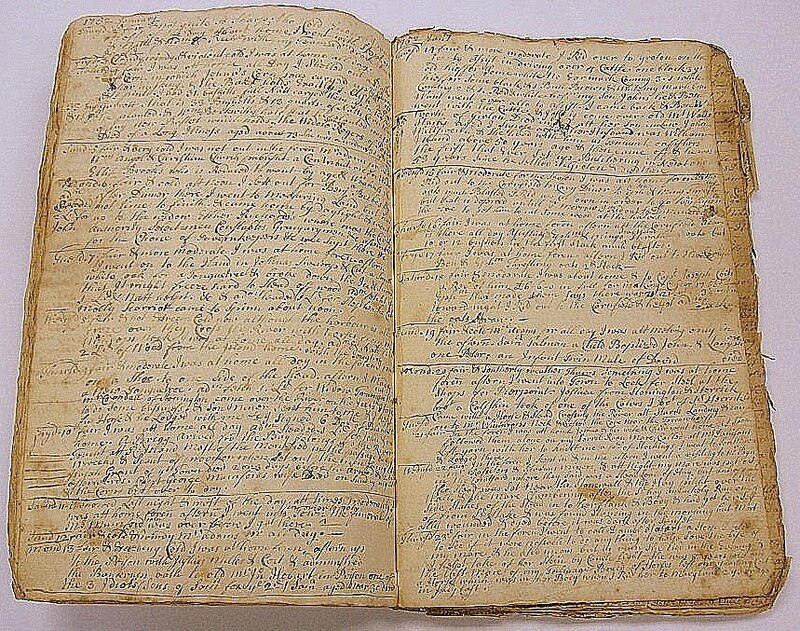 According to historian Bruce P. Stark, “The diary, the only one of its kind in Connecticut, fills over 700 tightly-packed, printed pages and provides a detailed picture of the life of Hempstead, his family, neighbors, and acquaintances. It also includes a great deal of information about events in New London and eastern Connecticut.” See his complete article: Joshua Hempstead published on the Connecticut Heritage Gateway. 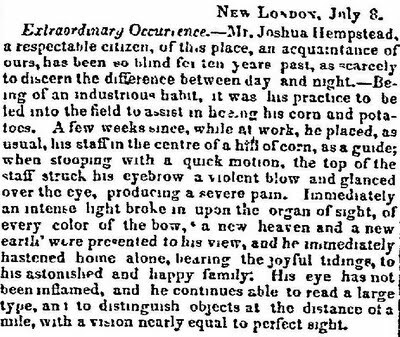 According to the newspaper he was blind for ten years but being “of an industrious habit” he went to work in his fields every day. Now – that’s a great family story. If you don’t have your ancestor’s diary passed down in the family or preserved at a historical society – check and see if the stories of their lives were recorded in one of the 3,800+ newspapers in GenealogyBank. 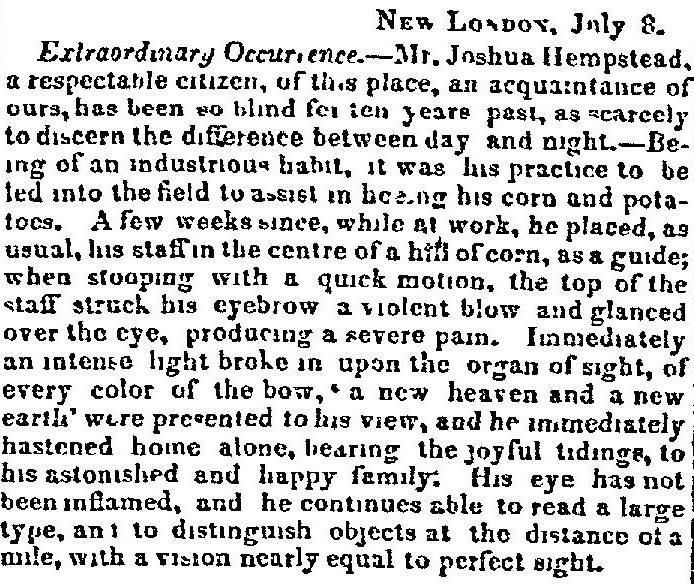 Many thanks to Barbara Matthews for alerting me to the New London Historical Society’s decision to put Joshua Hempstead’s diary online.